Hi! Ozzie speaking here! 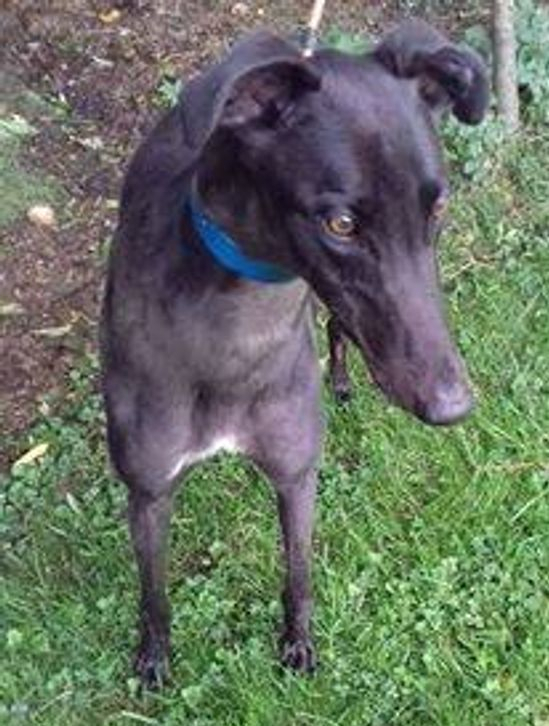 I'm a very handsome black greyhound boy (I'm not being immodest, Hilly told me to say that) and I was born on 14 August 2015. So you can see I'm a nice age - not too young, not too old, but, if I'm really honest, I could do with a bit of work on my lead manners. Don't worry though, it won;t take long, once I'm in a home of my own, with a family who love me and spend time with me, which is what I want most of anything in the whole world. Do you think you could be the people to offer me that? If so, why don't you contact DAWG to make an appointment to meet me, I feel sure I could work my magic on you and I'm really looking forward to trying!